Fortress Of Freedom Board :: View topic - Twenty6Hundred "Electric For All" Now On iTunes! Twenty6Hundred "Electric For All" Now On iTunes! Posted: Fri Sep 12, 2014 12:39 am Post subject: Twenty6Hundred "Electric For All" Now On iTunes! 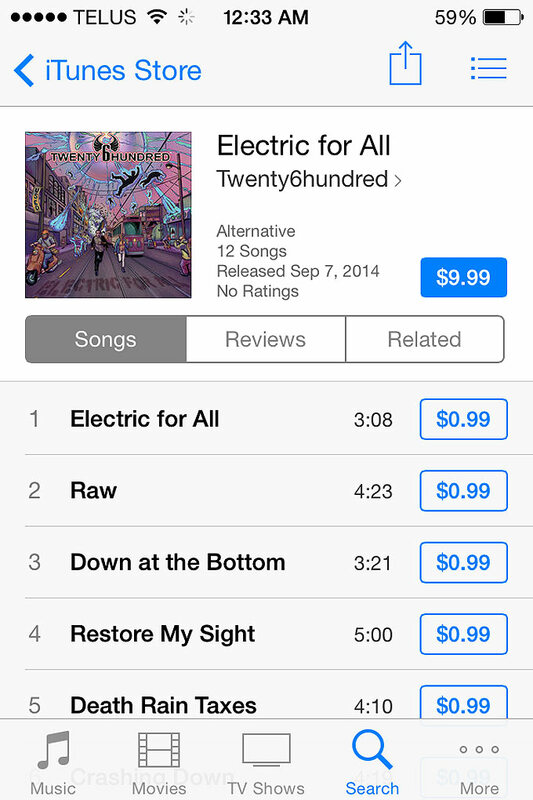 TWENTY6HUNDRED's latest album Electric For All is now on sale at iTunes. Support Canadian independent labels by checking out the tracks and if you like it then buy it! Then show your support for TWENTY6HUNDRED by going down to the Atria Bar and Grill on September 20 at 9:00pm to hear them perform these songs live for the first time!